ASTANA (Sputnik) - The ninth round of the negotiations on Syrian crisis settlement in the Kazakh capital of Astana will focus on reviewing and giving an impetus to decisions achieved during the Astana-8 round of talks, a source close to Astana negotiation process told Sputnik on Monday. 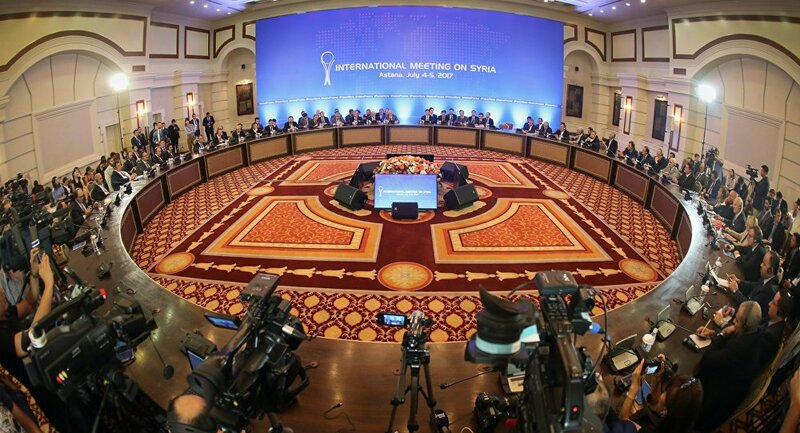 "At the previous round of Astana talks, Russia, Turkey and Iran, the guarantors of the ceasefire in Syria, have agreed to establish a working group on the release of detainees, adopted a statement on humanitarian mine clearance in the country among other things. Some decisions have been also made at the trilateral summits the following months. We need to revisit these decisions and give them a fresh impetus," the source said. A working group on the release of detainees, which was established at Astana-8 talks on Syria and is composed of experts from guarantor states and the United Nations, will hold a meeting in Astana on Monday morning to kick-start the negotiations on Syrian crisis settlement in the Kazakh capital, a source familiar with the negotiation process told Sputnik on Monday. The United States will not take part in the ninth round of the Syrian peace talks, which kicked off on Monday in the Kazakh capital of Astana, the US Embassy to Kazakhstan told Sputnik. 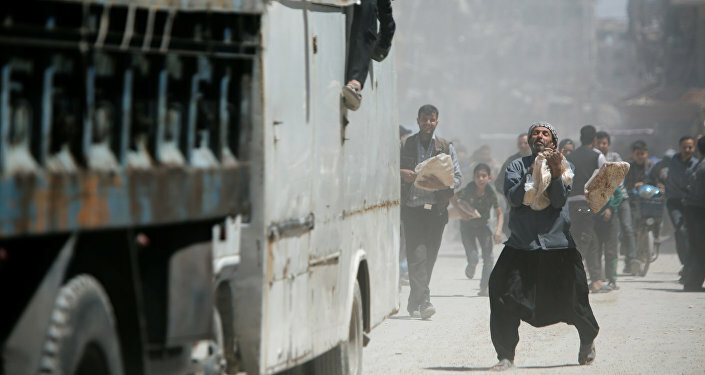 "The United States will not participate in any official capacity in the Syrian negotiations, which take place on 14-15 May in Astana," the diplomatic mission said. The eighth round of Syrian peace talks was held in the Kazakh capital of Astana in late December 2017.